Two alien races vie for control of Earth, decimating the human population. Hell is not pleased. A vampire steps into a much larger world upon joining PrOOF - the agency for the Preservation Of Occult Figures. His first mission might end up being his last, and if a dragon and a wendigo don’t do him in, his co-workers just might! What would life be like being dead and the unending pain from being alive once again be like to experience? Trapped in his undead body, Rob can only watch the horrors he creates as "the hunger" controls him, while wishing for his second death. Mike Graves and his pals love burgers, banter, and comic books. They don’t have a care in the world until an evil warlord from another dimension threatens to tear those bonds of friendship apart. Now it’s up to Mike and his best pals to stop it. A Victorian-age vampire and a modern-day musician grapple with their identity and the pull of a dangerous woman. It is a song of mystery, magic and the unyielding power of love. Watch as they learn the tune. The Walking Dead meets Ru-Paul’s Drag Race. An up-and-coming drag-queen faces a poorly timed zombie apocalypse. Can she wield a machete and still look good in Jimmy-Choo? Nightmares that banish bullies, possessed vacuum cleaners that bestow binding quests of kingdoms torn asunder. Adolescents have many normal problems--these are not. Andres discovers that living a normal life is impossible when the blood of monsters run through your veins. Congrats to @K M Cooper and best of luck on the rest of your campaign! Hey guys! This will be the last selection for Snarky DarkSy. I plan on closing the syndicate after this month’s pick. So with that in mind, let’s make it a good one. @G. A. Finocchiaro and @Rodney V. Smith - let me know what you think! Since I already bought The Seventh Age, I’m fine with Unattractive Vampire. @Rochelle Campbell @Rodney V. Smith @G. A. Finocchiaro What do you guys thing about choosing a book that’s already available this month? (either An Unattractive Vampire or The Seventh Age: Dawn) There are only a couple of options that are funding this month, so I thought it might be a good time to temporarily change it up. Let me know what you think. Congrats to @Zachary Sergi ! The Rise and Fall of Gods and Housewives is our June pick! @Rochelle Campbell @Rodney V. Smith @G. A. Finocchiaro - Any votes? I’m not sure if this story becomes dark further into its plot or not, but it certainly captures the sense of humor this group likes. A bit more gore-horror than our usual fare, but it’s definitely quirky and fun. And good news - Inkshares was able to fix my mistake - Congrats to @JDL Rosell ! Not a problem. Life is flying by. I want to apologize for completely missing the cutoff this month. I’ve had a lot of life going on the past few weeks and I didn’t even realize that I missed this until right now. I just sent an email to Inkshares to see if we can get the selection in late, but I wanted to say I’m sorry right away in case that doesn’t work out. Hi Guys, I’ll second it and go with Shadow of the Rook, too. I’ll go Shadow of the Rook. Both sound interesting. It’s time to cast your votes! Congratulations to My Boss is the Devil’s author, @Benjamin Schenkman ! I’m really excited to have another truly snarky and dark project join our ranks. I’m going to have to go Donnie Darko for a bit as I need to financially tighten my belt. Stay well in the interim! Wahoo!!! I’m happy dancing! Thank you everyone! 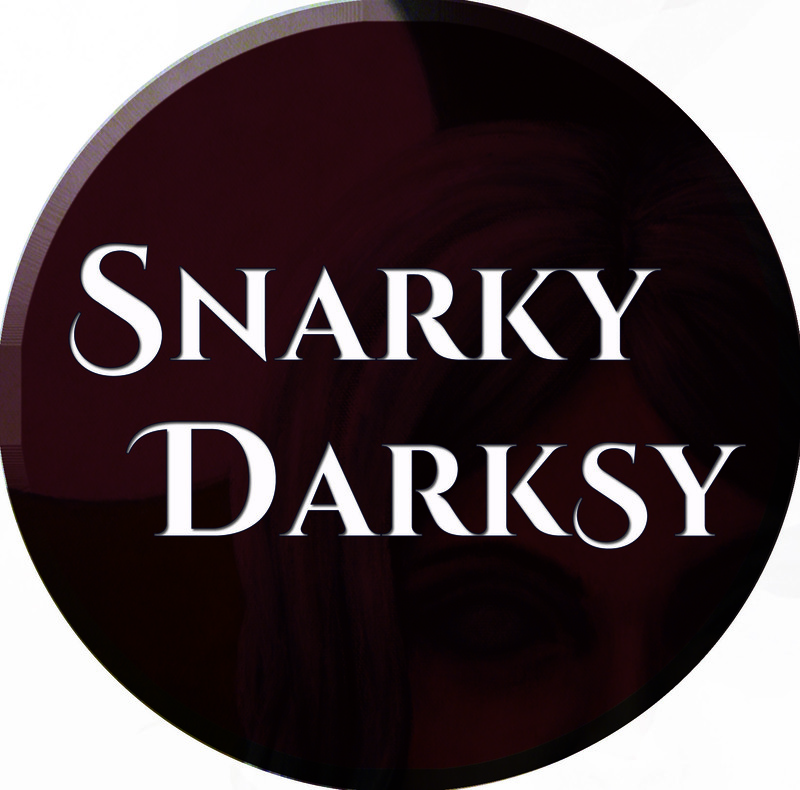 I will be tweeting & chatting up Snarky DarkSY at I-CON32 this weekend! Hm...Why not both? They both have just a hair over a month to go, so I’m going to go with Fury from Hell this month and lock in My Boss is the Devil for next month. Congratulations to both! Hmmmm...Fury from Hell or My Boss is the Devil both look pretty good. I’ll swing back in a couple of days with a shortlist, but if anyone else has their eye on anything, by all means please share! Sorry I’ve been MIA! I went ahead and picked Wake Up Call as our February selection. Please check it out and congratulate @J.T.R. Russell ! Worlds Walker looks promising, but is at the beginning of its campaign. That said, I’ve already pre-ordered a copy of The Delicate Art of Soulripping, so I’m a fan of that work as well. Same goes for Devil’s Call, but that one is on the verge of hitting Quill with about 21 days to go. Those are my thoughts, thanks! Plus, if anyone’s game to re-fund a book we’ve already backed, The Delicate Art of Soulripping has a new campaign and we could show our support for that again. @C. Brennecke - Any potentials for this month? Welcome into the syndicate, and a you’re welcome for the pick! Wow. Tough choice between Kingdom of Dreams and Devil’s Call. Perhaps KoD this time around. I’ve already ordered Kingdom of Dreams, and I do believe that is really a worthy title. I’ll stay there. I do like the "A Day in the Lies..." and "Devil’s Call" as well, but KoD has my vote. Any thoughts on our December pick? 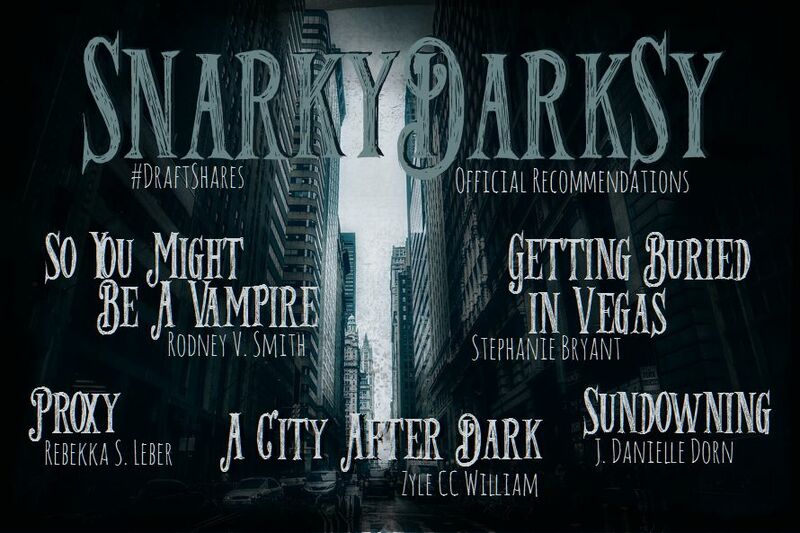 Please express my extreme gratitude and appreciation to The Snarky Dark Fantasy Syndicate for choosing A Tale of Ghosts and Guardians as the November pick. Obviously, today is the final day of my campaign and I will not be reaching my goal, so it means even more to me that it was chosen in spite of that. I will be retooling and restarting my campaign early in 2017. The recognition you have given A Tale of Ghosts and Guardians will be a helpful part of that relaunch. Thank you all again, and I will be watching for your future picks with great excitement. Ghosts and Guardians it is! Congrats to @Ryan Cook ! p.s. Awesome new cover, Issa! I’m in for Bad Medicine! And thanks, G.A.--that song will now be in my head for the next few days. @Rodney V. Smith @Sara @Issa Puppi - Do you have any opinions to add before we choose the October pick? I vote Bad Medicine...and not just because I love New Jersey and old school Bon Jovi. Here’s my not-so-short list heading into the month (below). Let me know if there are any other finds to add to the list! Thank you thank you thank you! I truly appreciate the backing, all. Just marvelous. A quick note--if anyone would like to read the full manuscript, please feel free to DM me your e-mail address, and I’ll pop it on over. Thank you again! This is just great. Alrighty, I’ve looked over all the feedback and mulled things over, and I’m going to go ahead and call it for Overture! Congratulations to @Issa Puppi ! hmmm... I find Overture to be more of an original idea. Something I had never thought of. I’d like to see that win. With that said, Bad Medicine does sound like a riot. The whole drag-queen aspect sounds insanely fun. As much as I like Bored as Hell, I think the above two might have a slight edge in worthiness, for my tastes. If my math is correct, Overture, Bad Medicine, and Bored as Hell are all tied with two votes. Feel free to debate the pros and cons (politely, of course) and I’ll see if I can wrangle up some votes from former members/friends of the syndicate too. Hi all! Thanks for the vote of confidence on Overture, G.A.! And thank you for adding it to the mix, C. Agree with the comment on Seventh Age as well--may be good to pick something still working to get to Quill. That said, Bad Medicine looks pretty intriguing from a snark perspective, so I’ll go with that. Overture and Bored As Hell have both caught my eye. My vote is with either of them. Since this is a smaller syndicate, we don’t have the numbers to really push a campaign into Quill, although it’d be great to do that if the opportunity presents itself! Because of this, the value we bring to a selected project is usually as a bragging right that helps bring more attention over the longterm. Personally, I don’t see why those bragging rights can’t go both to funding and funded books alike. However, I completely understand if you want to focus your votes on funding books only. In any case, I would recommend voting for the book that you think is the best and/or the most SnarkyDarkSy-esque. Wow...that’s a good list. I wish we could back all of these. @C. Brennecke with The Seventh Age, do we want to go in on something that is already funded to full publishing? Also, should our goals be to help give that last bit of push to help one get closer to Quill? Or merely to pick whichever is our favorite, without concern of whether or not the books make it to Quill? I really like Overture. Both Hell books look great too! Also, we should definitely back Wine Bottles and Broomsticks if given a chance to. It still has 70 days left. Bad Medicine looks great too! Lol looks like another one of my novels has been thrown into ring so I’m going to be biased and vote for The Second Coming of Hell. Though I will put it out there that I have the full manuscript uploaded just to stand out from the pack in the contest, but it hasn’t translated to many orders. If anyone does back The Second Coming of Hell, i will gift you an ebook copy of In a World of Darkness. Even that novel would meet the snarky darky guidelines. I’m not trying to sway votes for my novel, just reminding everyone that you get two books for your support. There’s no shortage in great picks for this month! Fair enough - there is quite a surplus to sort through right now! This is a great book that comes out in November, and I think it would be cool if we could back it sometime between now and then so that we can read and review it as a group. This one makes me chuckle and definitely deserves some more attention. I’m digging the unexpected mix of elements this one has, plus it’s really well written. Another great, dark and snarky book that deserves some more attention. Bad Medicine: Slay it queen! The tagline alone cracks me up. I already bought a copy, but it’d be great to back it as a group too. This one features old school-style witches in a modern day romp, and looks like lots of fun. @C. Brennecke it’s probably less dark, and more straight fantasy. Admittedly, I haven’t been as active recently as I have been, and I’m not too familiar with the hundreds of entries into all these contests that are running right now. I’m putting together a list of nominations now. Can someone (@G. A. Finocchiaro or @Sara ) tell me if The Great Hand has any dark fantasy or paranormal elements? It definitely looks interesting and funny, but I’m not sure if it fits the Snarky DarkSy vibe. It might be that I’m just overlooking something though, so let me know! Hey all, I’ve decided to post some guidelines since I’ve been receiving questions via DM on a fairly regular basis lately. Note that I’m not calling these "rules," since I’d rather have a more laid back approach in this group. - Between the 1st and 15th of every month I will post nominations for the group to discuss. Votes will be taken to poll the group for their opinion. Generally I will go with the most popular choice, but I may opt to go with the runner up at my own discretion. - If there are not enough votes, I will either choose the book myself or poll former members and/or other authors until a consensus is reached. - Self-nominations are allowed via DM only. - Anyone can put forth a nomination, but if the book doesn’t fit into one of the genres listed at the top, it will be overlooked. - You CAN vote for your own book IF you are the only syndicate member with a nominated book that month. I think that covers it, but any questions, let me know! Welcome aboard! If you have any questions about Inkshares or writing, please feel free to start a conversation. After much deliberation, and a few chuckles at the idea of a dog ripper, I’ve decided to select The Delicate Art of Soulripping as our August pick! Congratulations to @Sara Polk and welcome to the best bookshelf in all the land! @Rodney V. Smith @Joshua Griffith Any preferences? Great list! So, the top two on here are both already established Inkshares authors. I love both of their works, and Rick is a pretty good guy I’ve already chatted with several times. However, with our number shrinking (where did they all go!?) and with the "little guy" in more need of our contributions, I’m leaning towards The Delicate Art of Soulripping and Overture. Those are my #1 and 2 votes (if I’m ranking them). Bored as Hell is my 3rd pick. As I said, the other two entries are awesome, and I’ll be buying a copy from each, but I think we can make a better impact with the smaller guy, and maybe we can also recruit more to this syndicate as well by doing that. Okay...the list is ready for narrowing. I decided to look at contest entrants only this time. Next month I’ll add in a few others, but we’ll focus on the contest right now since it’s so shiny and new. The end of the world is near. Just enough time for a newly laid off Death to get a life. Hopefully. Magic returns. Companies brand it. New abilities can be yours for one small payment ...just sign on the dotted line. Lucifer starts a Second War with Heaven because he’s bored. Besides, what’s God going to do - send him to Hell? Elma’s life, predictable as a sheet of music, is rewritten as she evolves from risk-adverse pianist to supernatural powerhouse. In a symphony of vampires, werewolves, evil and magic, Elma sings a pivotal song. Watch as she learns the tune. When you die your soul doesn’t just leave your body. There’s a process: ripping, reaping, replacing. Let me know which one(s) you’re digging the most! Thanks @G. A. Finocchiaro ! And I agree, that one will definitely appear on the list. @C. Brennecke - Sounds good! I have my eye on a few. Hey @Rodney V. Smith @G. A. Finocchiaro @Joshua Griffith ! Our February pick, The Vampire and the Dragon by @Michael Welch , is campaigning once again, so be sure to check that out and re-pre-order if you can! 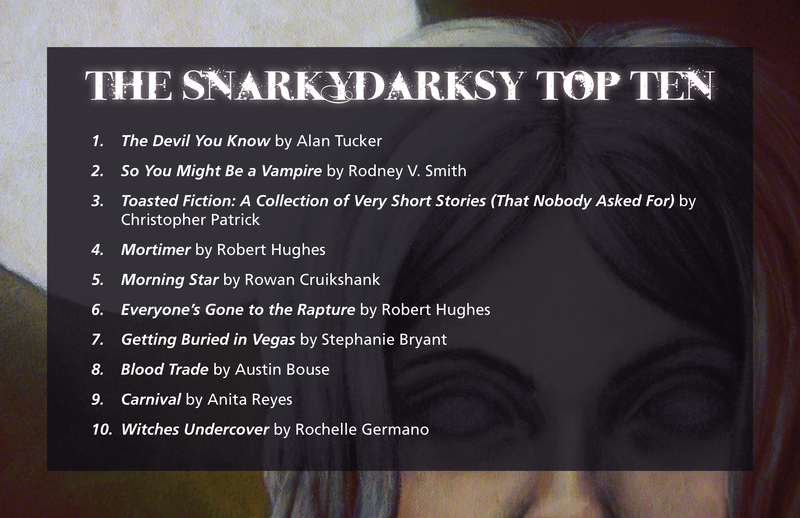 Congrats to @Rebekka S. Leber - Proxy is the Snarky DarkSy pick for July! Thanks, guys! I published my reader update this morning and walked away from my computer. When I got back, I hit refresh and nearly fell out of my chair. I appreciate the support!! Congrats to @G. A. Finocchiaro ! The Knightmares is our June pick! Whatever you guys decide is fine with me. How about we go with The Knightmares this month and lock in Proxy for the next? I will respectfully not vote for my own project. Proxy looks decent. I’m looking at The Knightmares for our next pick. What does everyone think? Shall we debate a couple others or go all in? As a cross-promotion effort, I put together a list of recommended Drafts (with the artistic help of @Rebekka S. Leber ). If you’re participating in the event, be sure to check them out! Thanks @Tal M. Klein ! I am pretty sure I did see your post! Unfortunately I have nearly exhausted my entire list of friends and family with very poor results. However, I am going to follow up with many of them. I was just curious about other avenues. Promotion is a full time job, and I am in position to start putting even more of an effort behind my project. NOTHING is as good as your personal network. You friends on Facebook, your peers on LinkedIn, your redditors on... well, you get the drift. Hope this helps. Hey guys... I was curious if anyone would mind sharing some of the ways they were able to promote their book? Any recommended sites or anything? Zombies (E-book) = 1 entry! Brain-Eaters (Paperback) = 2 entries! Super Horde (Super Reader) = 5 entries!. Well that was quick and easy! Congratulations to @Joshua Griffith ! Agreed! "The Decaying Destiny..." sounds like the best of the two options. Yeah, Tal pretty much took the words right out of my mouth - Tolkien-lite, with nary a hint of snark. Viva Rob and Senor Griffith. Not sure I see so much "snark" in The Northern Divide, even though it is a great book and I’ve supported it. Therefore, I think Decaying Destiny of Rob the Zombie would be a better fit thematically for the Syndicate. If anyone has other suggestions, feel free to toss them into the ring too. Aha! Welcome back to the dark side, @Joshua Griffith ! Nice - That makes you, @Elayna Mae Darcy , and me all from Philly. We should start a club! @C. Brennecke Yes! I am! I’m in Old City, but originally from Jersey. Hey @G. A. Finocchiaro , welcome aboard! I was just looking at your book and was wondering - Are you from the Philadelphia area too? Can we rename this Syndicate to Snarky McSnarkface? May the snark be with me. Hey @Tal Klein ! Welcome to the group! Congratulations to @JF Dubeau ! We have chosen A God in the Shed as our April selection! A God in the Shed sounds intense. I’m going to be super-crazy-busy during all of April, so if anyone has suggestions for the April pick, go ahead and start sharing them now. Thanks! You are the best! Ahhhhh! It’s official! SnarkyDarkSy has chosen Witches Undercover as its March selection! Congratulations to @Rochelle Germano ! My vote thus far is ’Witches Undercover’ by Rochelle Germano. I would say that anything on Inkshares should be eligible for us to vote on, funded and funding, personally. Apparently it’s March. I’m not sure how or why, but days go by without my consent, I guess. I’d also like to get everyone’s thoughts on the idea of adding funded books to our selections in the future. A lot of the projects I’ve had my eye on are starting to turn back into drafts, so I’m just thinking ahead to scenarios where we might have a difficult time finding books that fit our niche. On the pro side, we’d be able to actually receive books - and on the con side, they might be books that we’ve already purchased individually. Let me know what you think. Long live the snark indeed! I’m more than just whelmed.....I’m overwhelmed by the generosity of the collective which my book seems to have been created strictly for! Thanks guys, I really appreciate it! To show you guys just how much, I’ve joined the syndicate. Long live the snark! With a wonderful mix of humor, intrigue, and fantasy, The Vampire and the Dragon is SnarkyDarkSy’s February pick. Congratulations to @Michael Welch ! Sweet! Looks like we have a consensus. I’ll make an official announcement after the deed is done. The Vampire and the Dragon for me! Hey all (@Jeremy Thomas @Joshua Griffith @Rodney V. Smith)! Let the games, er, debate begin! Welcome aboard, @Rodney V. Smith ! Hey I’m up late doing anything BUT writing and that includes poking around Inkshares, so I saw this and just HAD to join. Definitely a niche group, the snarky-darky fantasy humour, so not surprised there are less of us. More glad that we do exist. Welcome Rodney and thanks for joining us! HI! And now we are 4! Thank you both for your input! I think this will make the selection process much easier going forward. Being on the same page, and knowing you're on the same page, is nice. Suggestions for the February selection are welcome! Also - I'd like to get some opinions on what approach this Syndicate should take when selecting a book. Perhaps instead could use our vote to give visibility and bragging rights to a project that has a longer funding period ahead of it? Or choose books that are already publishing, so that we know we'll get a copy? All thoughts are welcome, member or not! Sorry for the late reply, but you're welcome @Patrick Sheane Duncan ! We're hoping you hit the full funding goal! Much appreciate the selection of my book. Cheers! Congratulations to Dracula v. Hitler! You're our January 2016 pick! It's early-mid January, and that means it's time to choose our next book! Please stop in over on Goodreads (https://www.goodreads.com/topic/show/17972302-january-2016-selection) and share your thoughts! You may have heard about tomorrow's Review-a-Thon! To help you choose a great Dark Fantasy (or simply snarky) read, we've put together a Top Ten list of currently funding projects here on Inkshares. Whether you're reviewing tomorrow or not, I encourage you to check them all out! The Devil You Know has been chosen as our first selection! Congratulations to Alan Tucker! Thank you for asking such an excellent question! A syndicate is a group of people who pool their money together to support a different Inkshares book each month. The advantage of a syndicate is that it allows readers to more passively support Inkshares writers. Syndicate leads do most of the work. It is inspired by the syndicate structure on AngelList. Members can come in at the "electron" level for $10 per month, or the "atom" level for $20 per month. The syndicate lead then works with members to choose a book to support on the 15th of each month*. Orders are then placed on behalf of each member. Electrons receive an ebook. Atoms receive a print-book. This can result in big savings for syndicate members, as often ebooks and print-books are more expensive than $10 and $20, respectively. Books are delivered when the project funds or publishes, or immediately if the project is already published.